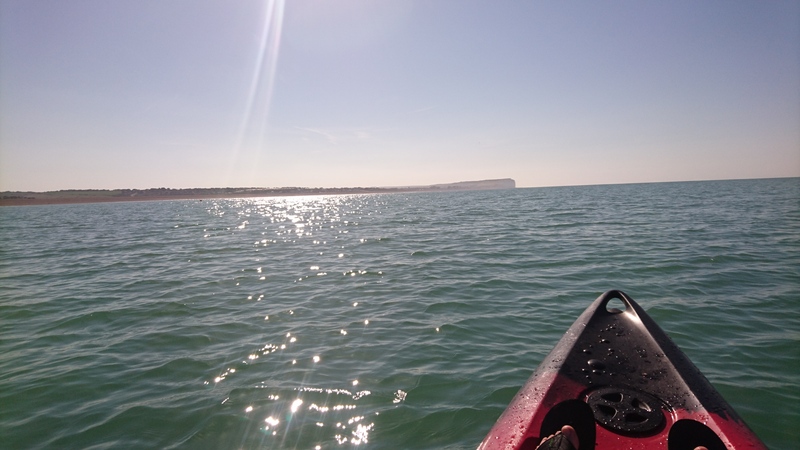 I’d had an idea in the back of my mind for several months, that despite living a fair distance inland, a small stream that runs right next to our house meant I could potentially paddle my kayak all the way out to the sea, and then along the coast to Seaford where I grew up. About 50 meters from our home in Glynde, just across a field on the other side of the road, is ‘Glynde Reach’, a small canal like river that connects to the Ouse just south of Lewes. 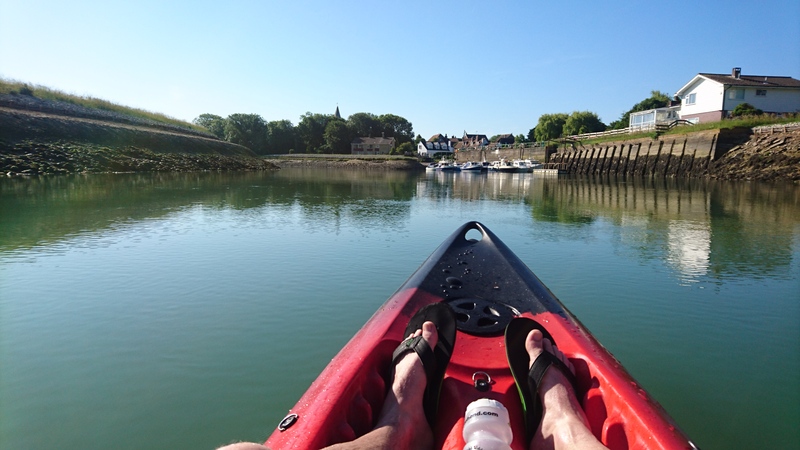 This might sound fairly straightforward, but with relatively little experience kayaking, beyond bobbing about in the sea on calm sunny days, there were a few aspects that were slightly daunting. First concern was ‘The Reach’ I was unsure how wide or deep it was, and how easy it would be to paddle, as it was impossible to walk alongside it more than a few meters. With steep muddy banks I also didn’t know how easy it would be to get in (and out, which I would have to do to cross the sluice gate that separated it from the the Ouse). 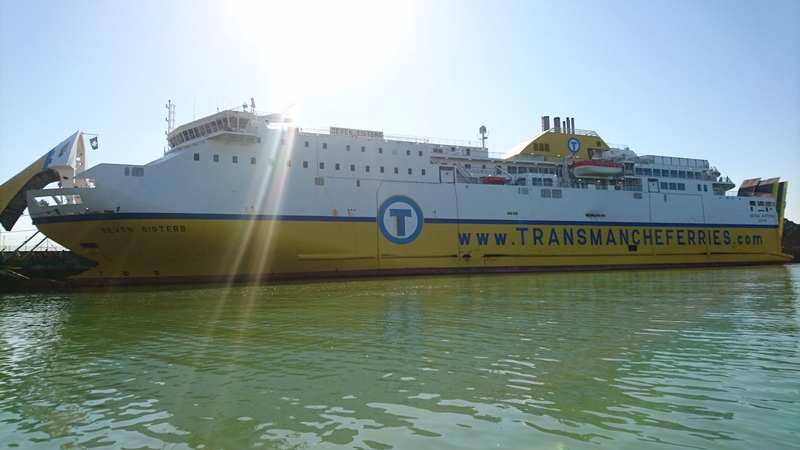 Once out on the main river I presumed it would be fairly easy going, providing I was going with the tide, until I reached Newhaven Port, where mixing it up with the cross channel ferries and fishing boats could become interesting. 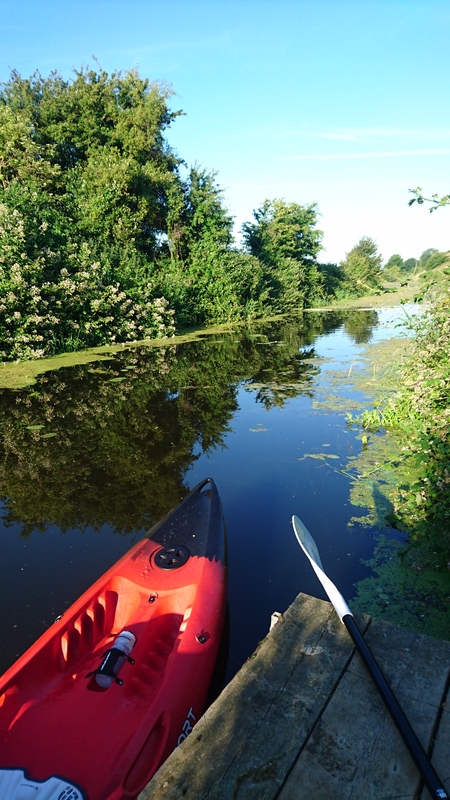 Lastly, it seemed impossible to find out the legalities of whether I could just dump my kayak in the water and go for it, possibly upsetting angry landowners along the way, but at 10pm the night before my 32nd birthday I decided that the following morning I would give it a try. 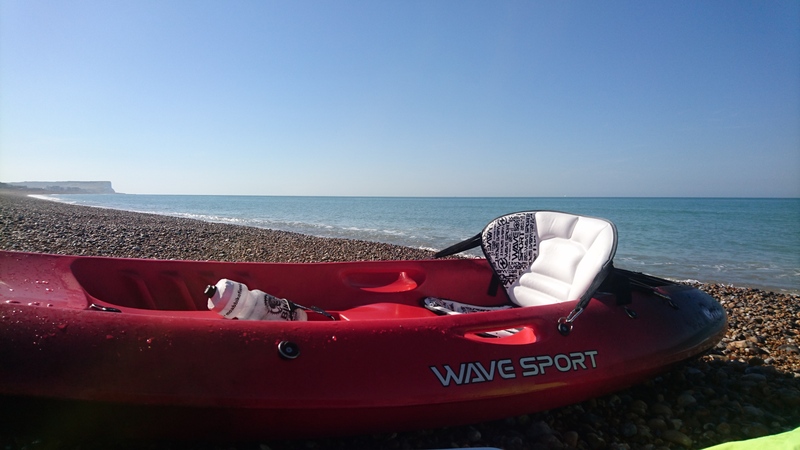 The logistics of the trip took a little planning, I wasn’t thinking of paddling back home, so I needed transport in Seaford at my planned finish. 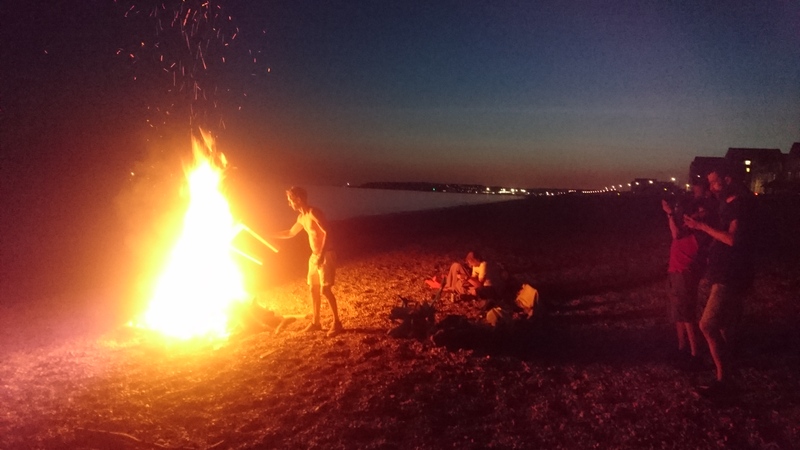 I also wanted to set off early to catch the tide, and avoid any farmers or fishermen who might be upset at my presence in their stretch of water. So I set my alarm for 5am, not 100% sure I wouldn’t just hit snooze indefinitely, but with the sun already streaming though the windows when I woke, it looked like a great day was there to be had. I loaded the car with everthing I would need for later in the day, BBQ, fishing rod, and drove to Seaford to drop the car off. By 6am I had my road bike out of the car and set off for the half hour ride home, I’m not often up this early but it felt great to be flying down empty roads on this glorious June morning, an essential part of the trip but one that added to the overall experience. Back home it was time to go, I was a bit worried about what my neighbours might think seeing me dragging a kayak across the cricket pitch at 6:30am, but it was now or never so I had a quick check for cars, lifted the boat onto my back, and made a run for it. Slipping down into the water was easier than I anticipated, a fishing stand providing the perfect platform to clamber aboard without making a fool of myself. First hurdle out of the way, it felt great to be gliding through the cool water on this beautiful morning. 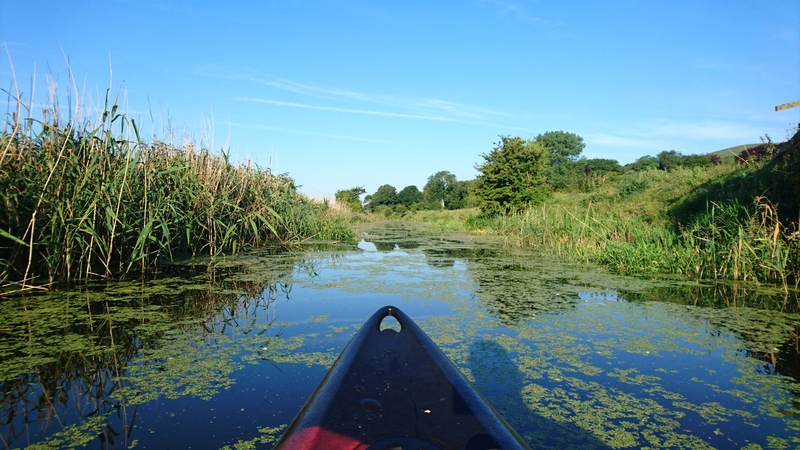 Unfortunately things quickly became less pleasant due to the thick weeds, giving the narrow waterway the consistency of porridge! I knew it would get better so battled though, making it past an aggressive Swan and a very inquisitive cow that was standing on the bank without incident. Eventually the weeds gave way, the water opened out and I crossed under the A27 which meant I was nearly at the sluice gate. Several months ago I had recced the gate, making sure I would be able to get in and out, though it was always going to one of those things I wouldn’t quite know until I tried it. It proved easy enough to get out, a concrete slipway making the job straightforward. After lugging the Kayak over a couple of gates, re-entry on the other side was a little more challenging due to thick tidal mud and another group of angry swans that weren’t going to give way quietly. Now I could relax. With low tide around 10am, I had a couple of hours to glide down the river, carried by the currents out into the big blue sea. The next hour or so was uneventful, but very pleasant, peacefully enjoying the landscape I know so well but from an entirely different view point. I realised that despite growing up in the area there’s always new things to discover, I never knew the village of Piddinghoe had a small harbour on the river, or that the controversial incinerator at South Heighton was right on its banks. Now entering Newhaven Port I was a little nervous once again. I could see the Ferry up ahead, loading up for its trip across the channel to Dieppe. 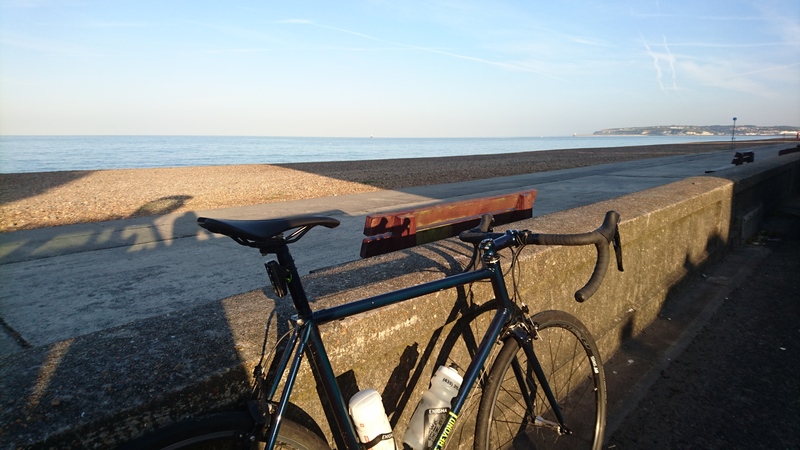 I was pleased to see a traffic light system, presumably to stop fool hardy young men on kayaks getting ploughed over by the gigantic ship, and the light was green so I carried on keen to get out into Seaford bay. As I passed the ferry, a couple of sailors on a smaller vessel were shouting at me, I couldn’t make out what they were saying so paddled a bit closer as It looked important. “The harbour have radioed us to tell you to keep out the way of the ferry, it’s about to leave” they said! I thanked them and paddled on, slightly bemused as to what the harbour thought I was planning on doing, but also worried I was now going to be holding up hundreds of holiday makers trying to exit the port. I paddled hard, looking over my shoulder every few seconds, but I made it out, sliding past the harbour arm and into the bay. In my mind, once I was out of the river I had made it, but it quickly dawned on me that it was a good distance across the bay to where I parked near Seaford’s Martello tower (built to defend against Napoleon!). Without the tide to carry me it was hard work, but definitely worth the effort in the end. At 9:03am I landed on the shore, it felt like a lot longer in both time and distance but I still had the whole day ahead to relax and enjoy myself. Some hours later I was joined by some old school mates. 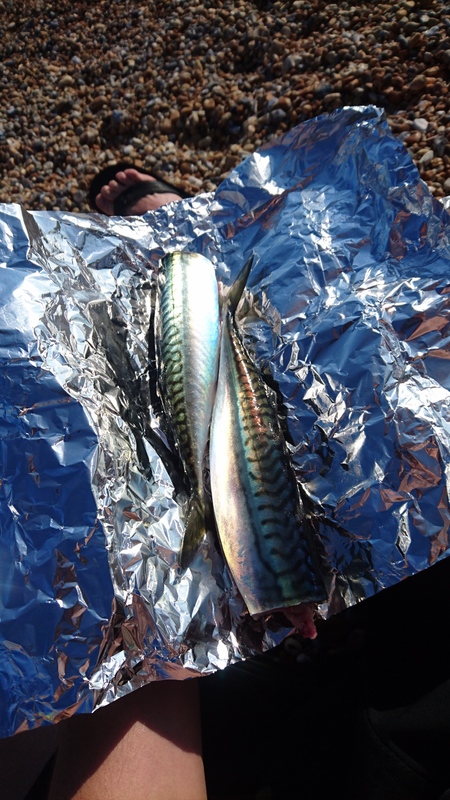 We got the BBQ going, fishing rod out and just in time landed a couple of Mackerel which went from swimming to sizzling in less than an hour! They tasted incredible and with a few beers and a fire with the setting sun it was the perfect day. Growing up in Seaford often felt like we couldn’t wait to escape, but on a day like today there’s nowhere I’d rather be. Transpyr Gran Raid 2017 – The emotional highs and lows of an unforgettable, cross-Pyrenean cycle mission. Wonderful adventure. 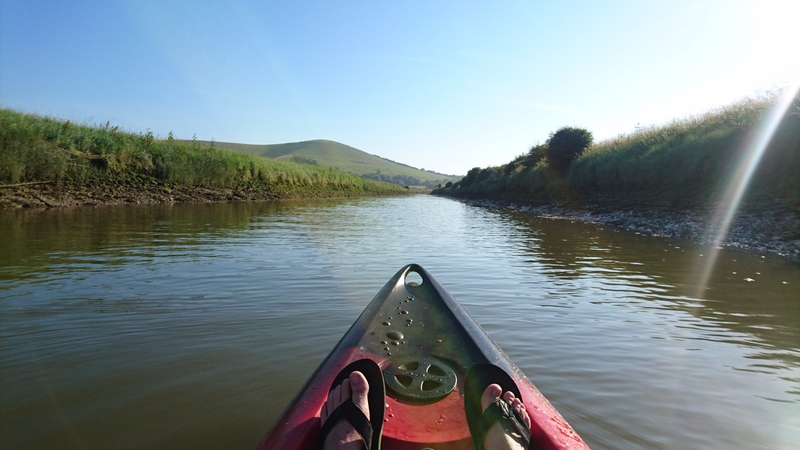 How much further upstream from Glyde on Glynde Reach do you think you could navigate? 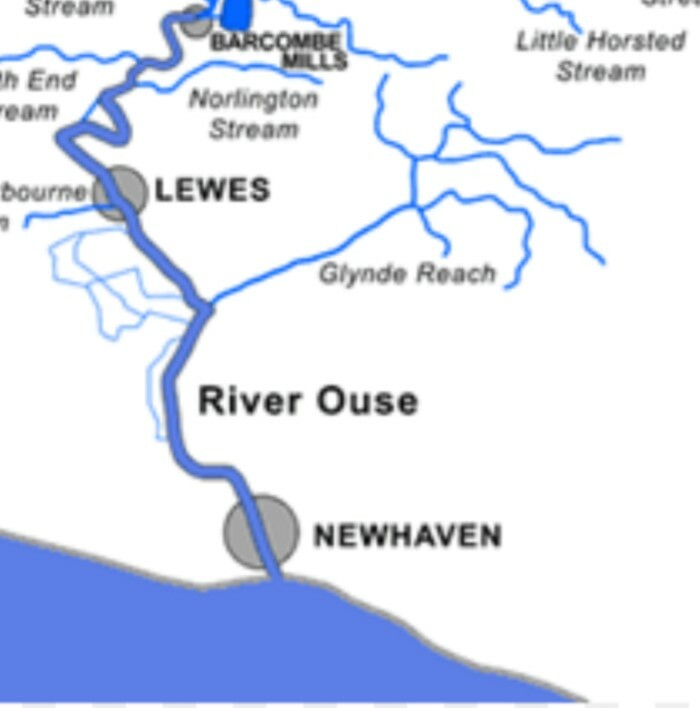 Hi, I’ve never been up stream from Glynde, but you could probably go a little further. it gets pretty clogged with weeds later in the summer, May or early June is probably the best time to try it.